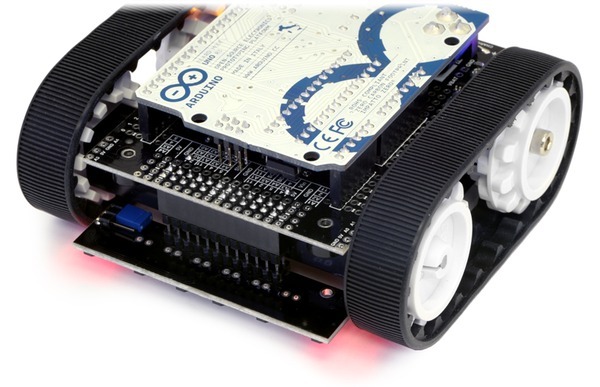 The Zumo reflectance sensor array provides an easy way to add line sensing or edge detection to a Zumo robot. It features six separate reflectance sensors, each consisting of an IR emitter coupled with a phototransistor that responds based on how much emitter light is reflected back to it. The two outside sensors are positioned at the very edges of the module to maximize their usefulness as edge detectors (e.g. for seeing the white edge of a sumo ring) while the four inner sensors are closer together for better detecting lines. 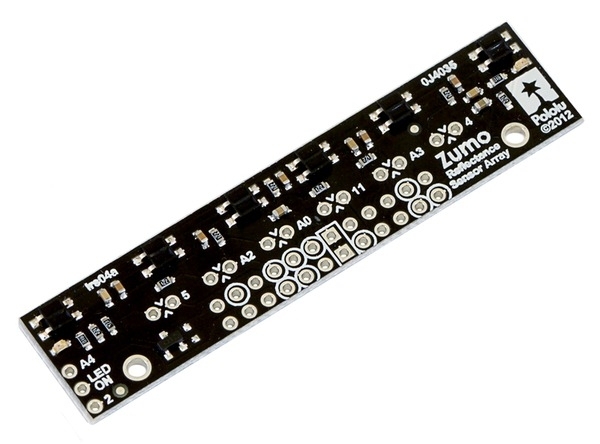 This sensor is included with the assembled version of the Zumo robot, but not with the kit version. 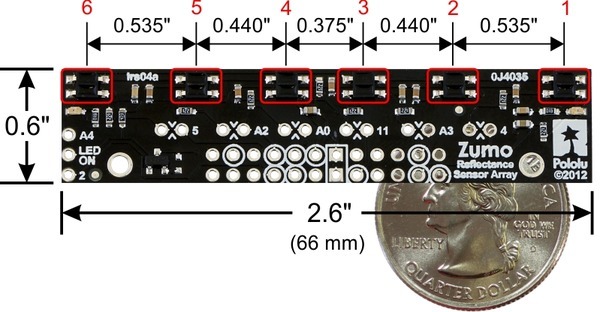 labeled sensors and dimensions. a Zumo robot. a Zumo robot, bottom view. 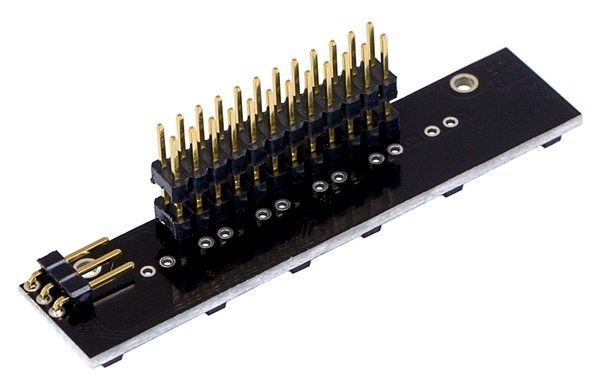 assembled with included male header pins. 1. 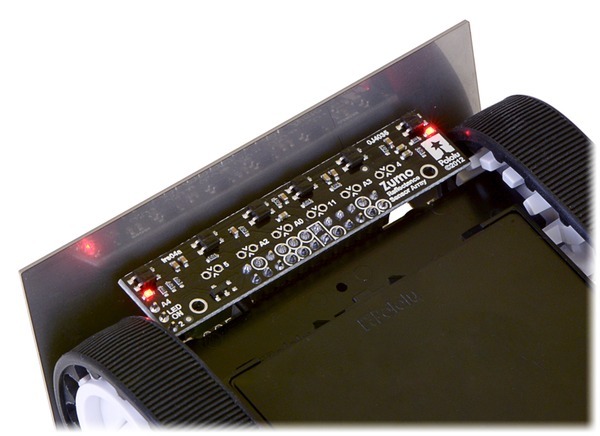 Turn on IR LEDs (optional). 2. 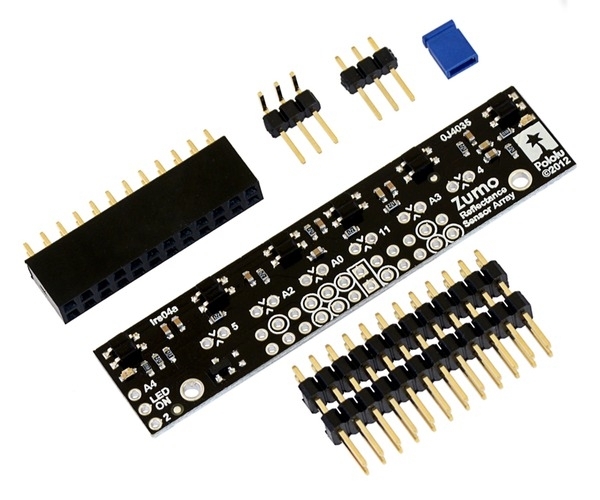 Make the I/O line connected to that sensor an output and drive it high. 3. 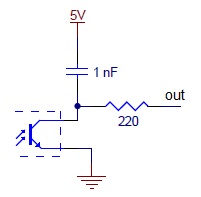 Wait several microseconds to give the 1 nF capacitor node time to reach 5 V.
4. Make the I/O line an input (with internal pull-up disabled). 5. Measure the time for the voltage to decay by waiting for the I/O line to go low. 6. Turn off IR LEDs (optional). 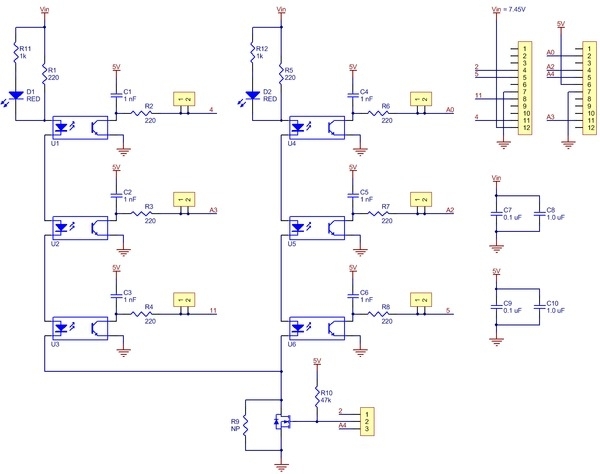 This schematic diagram is also available as a downloadable pdf (211k pdf). 2. Without included hardware. Weight becomes 8.1 g with included male and female headers.